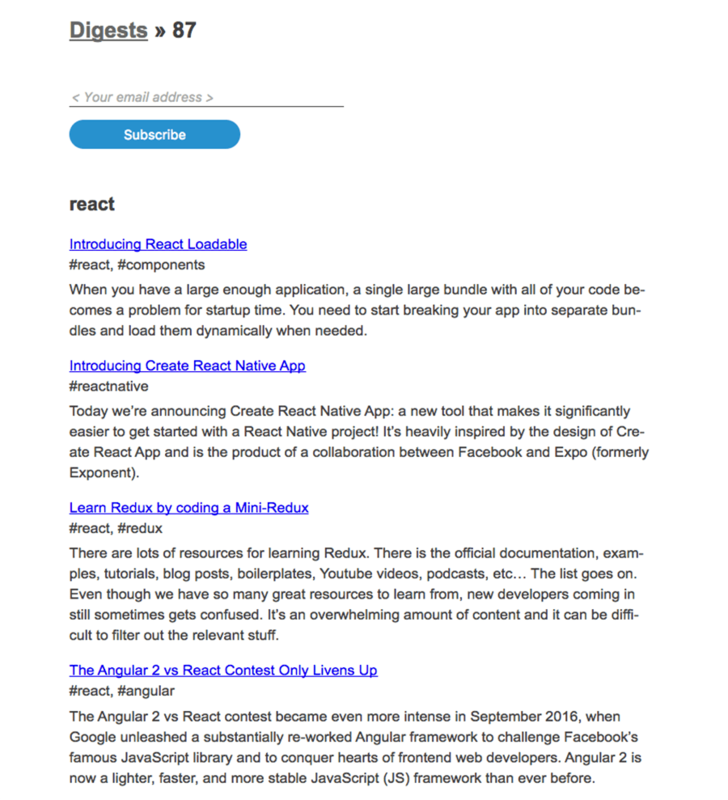 One of the best ways to stay on top of a new tech like React is to subscribe to newsletters curated by people actually working with that new tech. Searching for the most important React tutorials, news and tips is time consuming when you should be focusing your time on learning. This is where newsletter come in handy. We recommend subscribing to this full list first, and then unsubscribing from the ones you don't like. You won't really know which are the best for you until after a few weeks, so give them each a shot. They don't try to be flashy, just straight to the point with great links. Plus, you'll get links that complement React and aren't exclusively React related. Curated by Tyler McGinnis is all you need to know here. Tyler has some of the best React tutorials available today, so you're getting truly curated content every week. 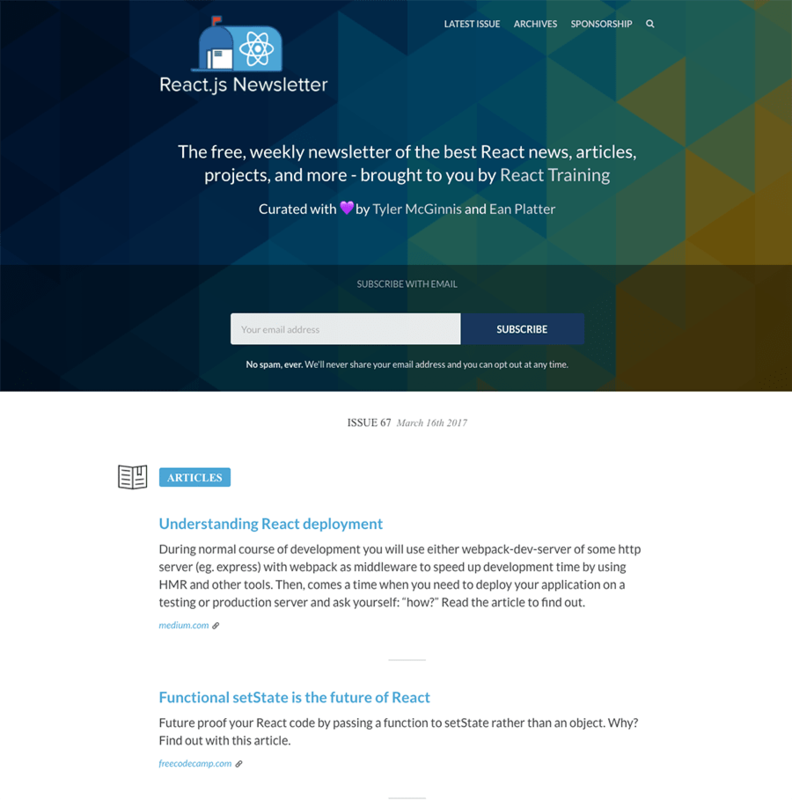 Despite the generic name, React.js Newsletter is well-designed and gives a good supply of React news, articles, and more each week. 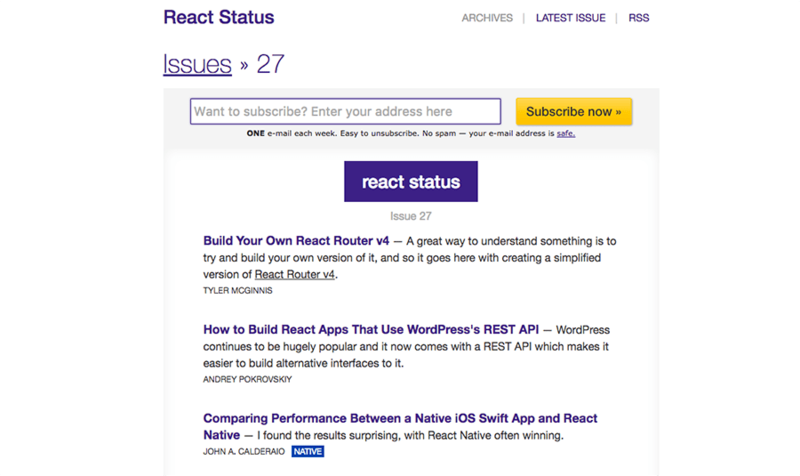 React Status is probably the most comprehensive of the React newsletters, so definitely get it on your list. 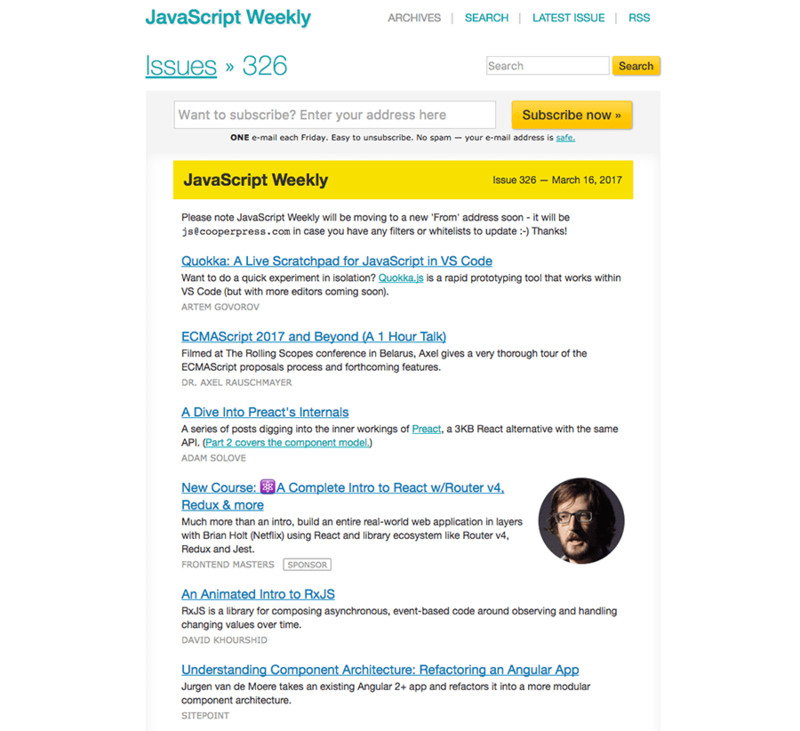 It has great design and is truly packed with React and React Native content (tutorials, news, projects) each week. 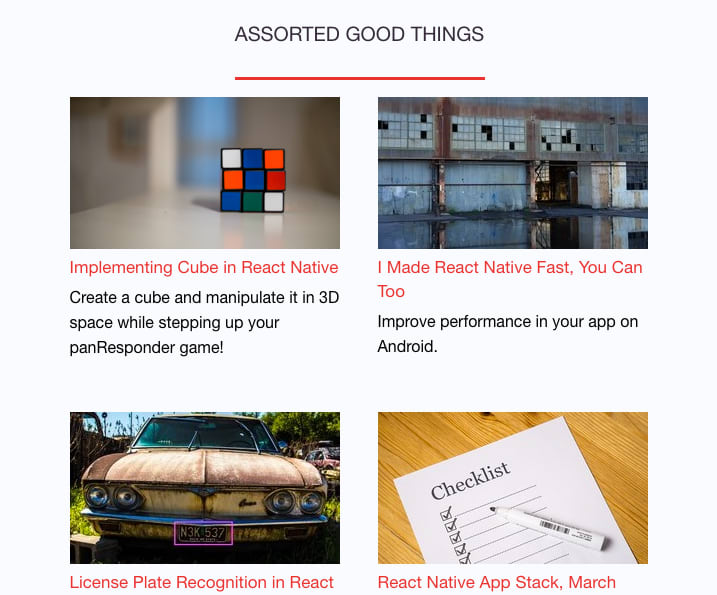 For you React Native fans out there, the React Native Newsletter is loaded with news, PRs, libraries, apps, articles, conferences to attend and more. This one surprised me with how much it delivers every week for almost a year now and there's always something worth clicking. Even if you haven't jumped into the mobile side of things yet, this will at least help keep the latest developments on your radar. 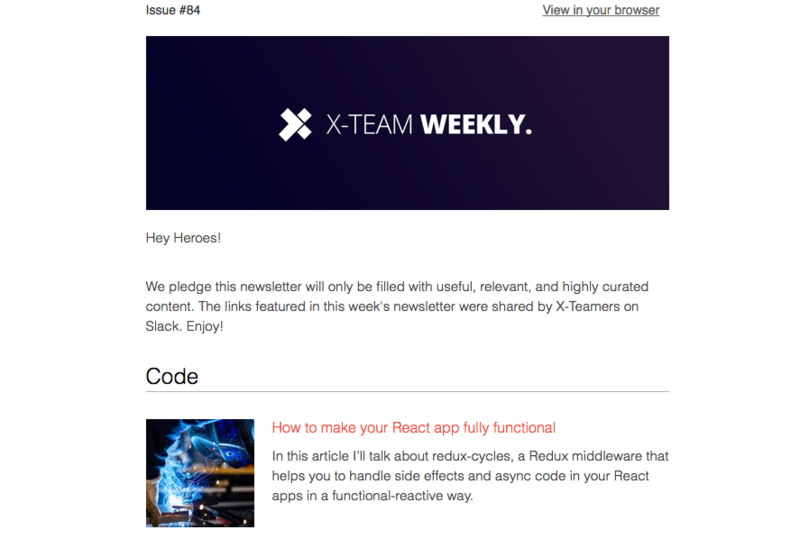 I love when a newsletter is as predictable as React Digest: just 5 links, once a week. That's an easy commitment to make on your part. 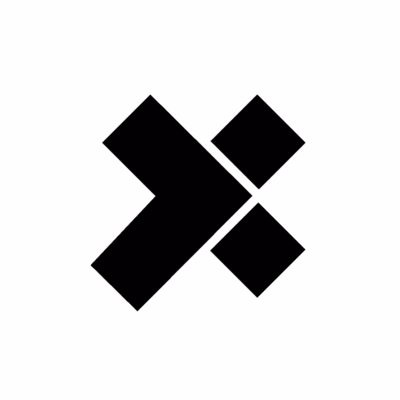 They cover topics like Flux, Redux, MobX, React and React Native. They're nearing 100 issues, so they've been consistent with some great content. If you don't already follow Dan Abramov on Twitter, you should be. I even get his tweets sent to my inbox they're so good. Why? Because we not only is on the React team and is always posting the latest insights and best practices, but he's also great at re-sharing helpful resources from the React community (and curated by him). 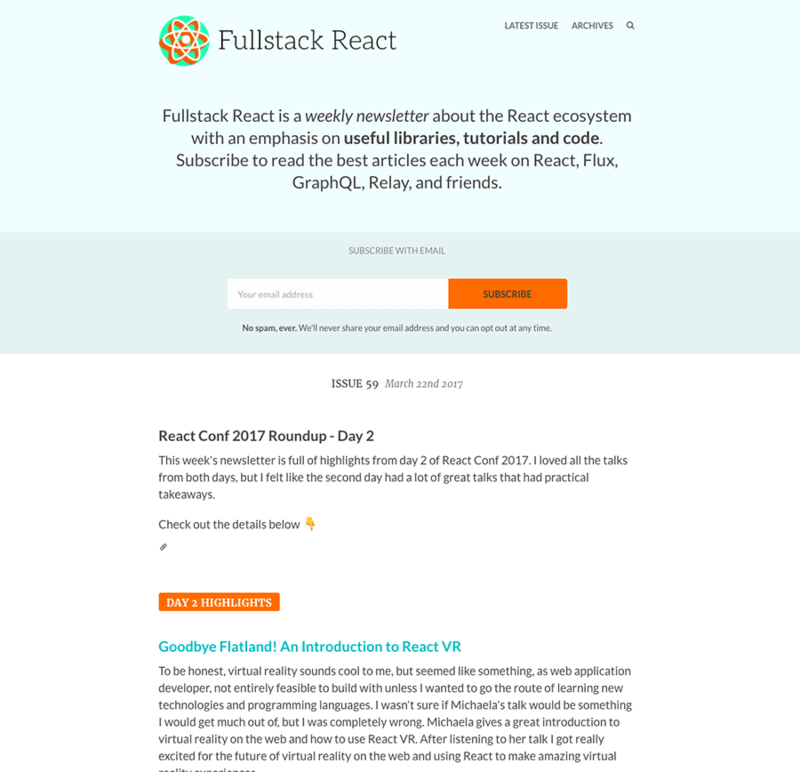 Even more important than all of these newsletters, I'd recommend subscribing to Dan's feed to stay on the forefront of React. I had to do it, but here's a shameless plug for our own newsletter -- X-Team Weekly. We have more than 25,000 developers subscribed and we often put up articles related to React as it's a passion of ours. Our readers really like the content we send, so check out a preview on the subscription page here. Have more newsletters to add to the list? Leave a comment below.